Pond Filters are generally required to keep a Garden Pond or Water Garden healthy and clear. If you have a large fish pond with plenty of large pond fish, particularly Koi then you will need a biological filtration system designed specifically to handle large volumes of pond water, containing lots of waste solid matter. Biological filter is the most common way of keeping a fish pond clean and healthy for yourÂ fishes. Effective Pond Filters combine mechanical and biological Pond filtration. Biological Pond filtration involves beneficial bacteria to break down fish waste and other organic matter. Mechanical Pond filtration traps particles in some type of filter media for later removal during cleaning. Our Pond Filters accomplish both and fitted with Ultra Violet Clarifiers for algae control. We carry Jebao and Resun UVC biological pond filters that incorporate mechanical, biological, chemical and even UV filtration. 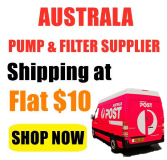 Jebao PF Pond filters,?re-branded?in Australia as AquaPro AP Pond Filter & PondMax PF Pond Filter and their UVC biological filters are slightly modified of Hozelock UK brand. Also Resun Resun EPF-13500UÂ re-branded?in Australia as PondMate PM13500PUF. To learn some tips for installation and?maintenance?of?Biological?Pond Filter, see our?Pond Filter Guide. 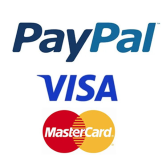 If you need advice or assistance to choose the correct water pump for your need or simply have some enquiry, please call us on 02 96832253 or email your name and contact number at customerservice@clicktobuy.com.au and we will contact you shortly.